Today's two treats from Vosges (Chicago, IL) reminded me of warmer times and places. 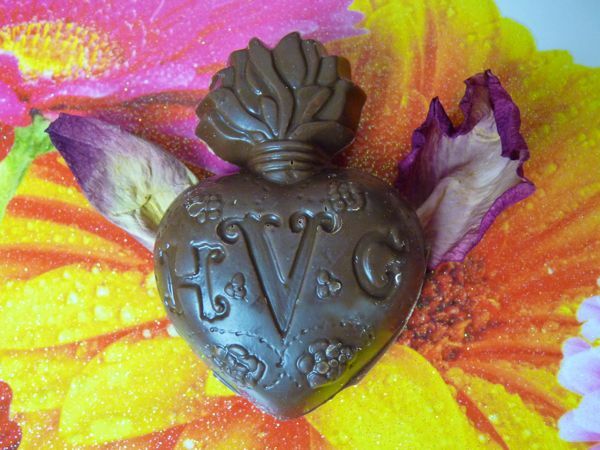 The Barcelona Milagro Heart of Love looked like it belonged in a Mediterranean jewelry box. 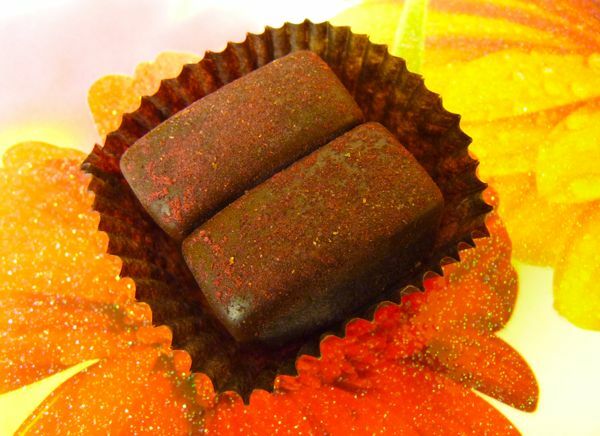 This chocolate embraced hickory smoked almonds and grey sea salt in a base of 45% cacao "deep milk chocolate." I've liked this term since I first saw it in a Vosges catalog several years ago. And deep milk chocolate certainly mixes well with salt, smoked nuts, caramel/toffee, and savory items. 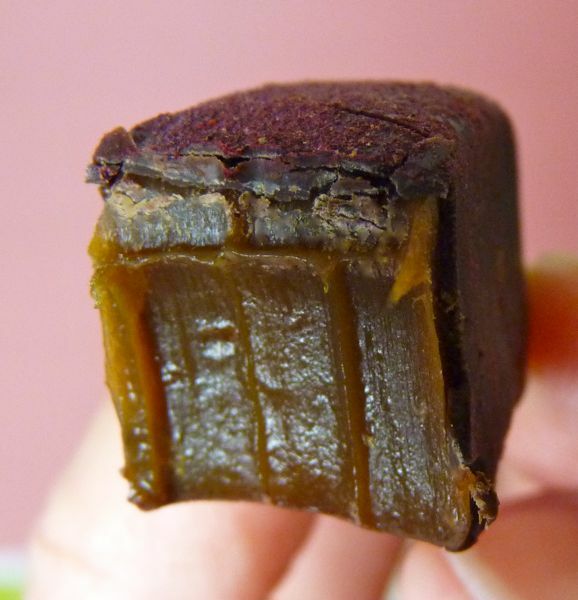 The second item was from a Vosges exotic caramel assortment; the tarte taste from the red hibiscus (flower) powder topping, Campari and blood orange made this dark chocolate-covered caramel more colorful and lively. Today was Day #3 of Chocolate + Hearts and Flowers Theme Week.